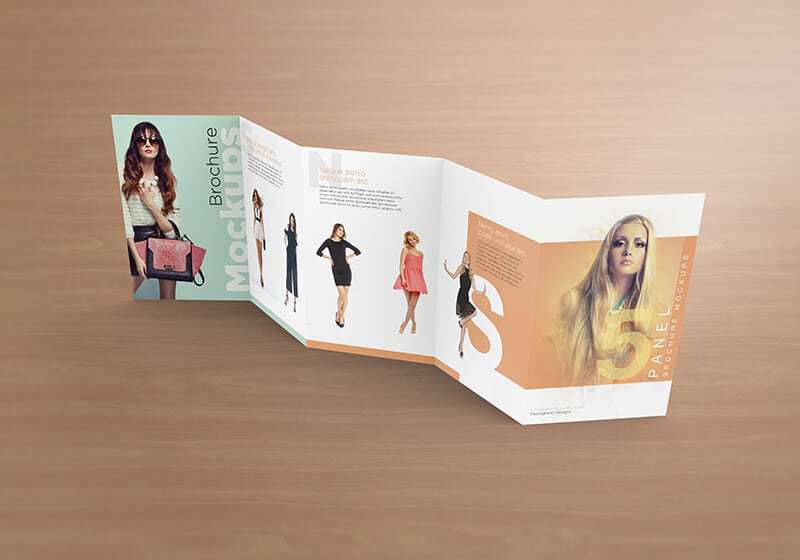 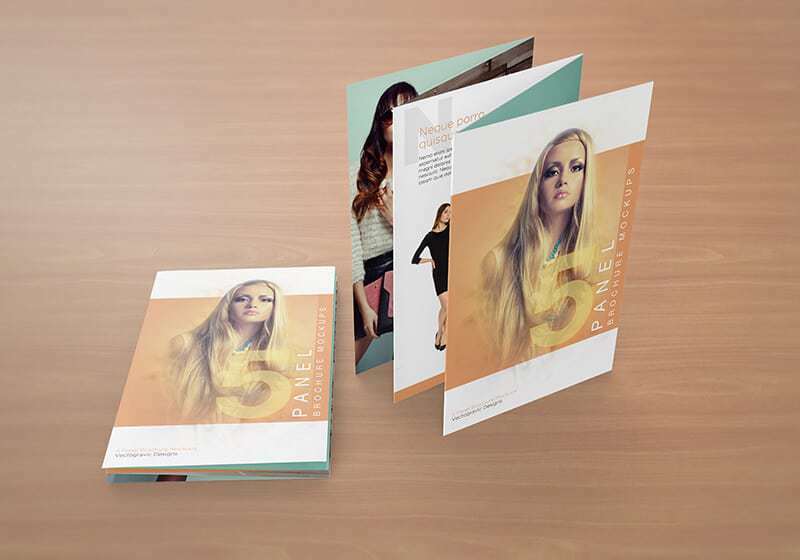 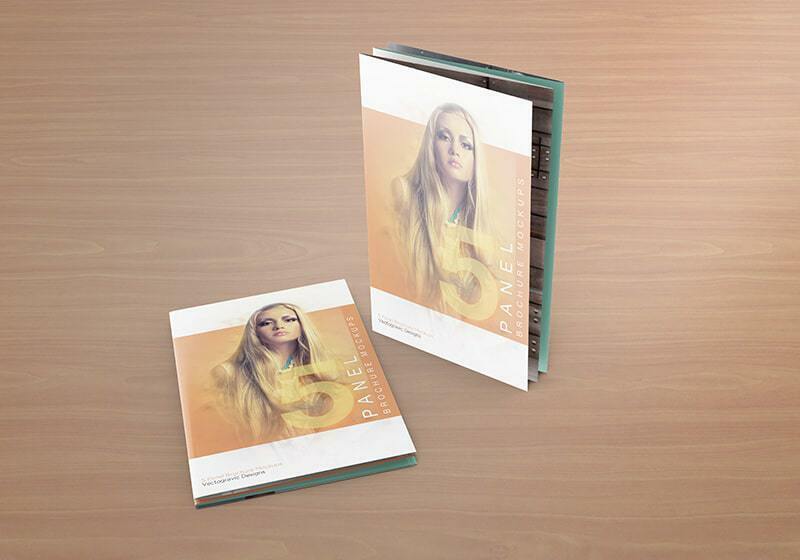 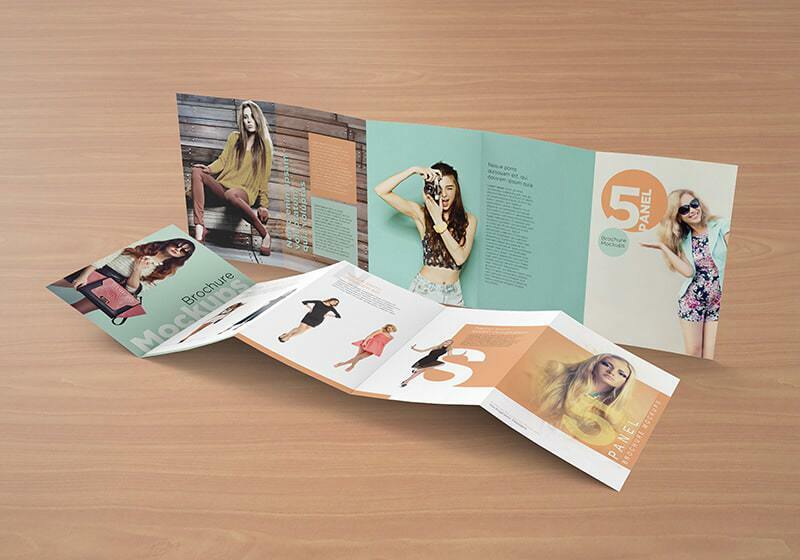 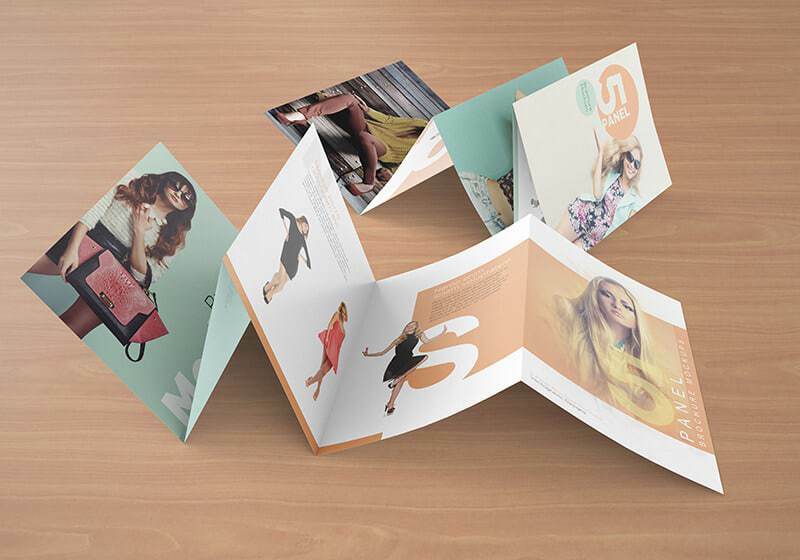 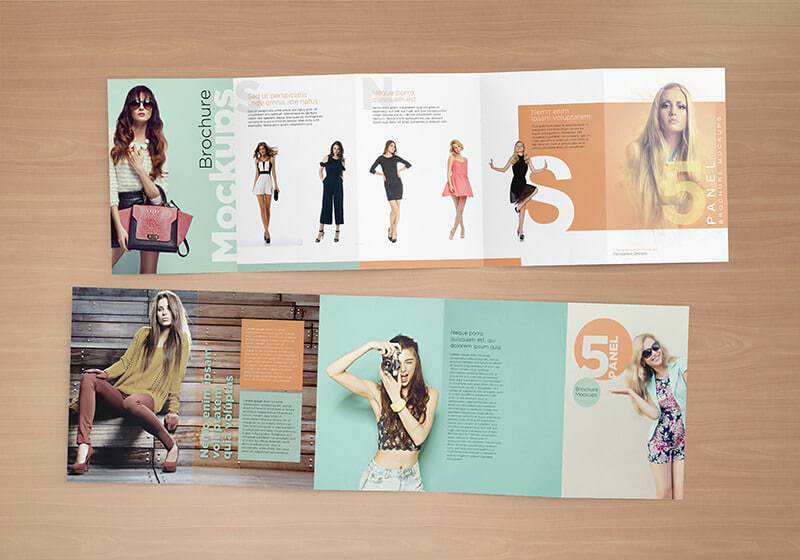 This is a five-panel accordion fold brochure mockups with to showcasing your great brochure designs with more space to put more info about your products or company. 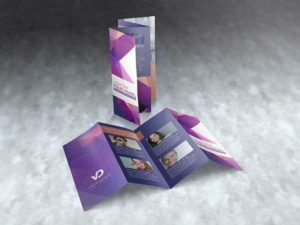 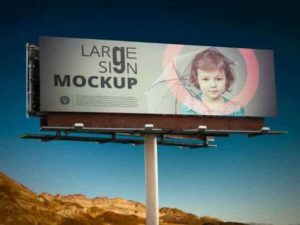 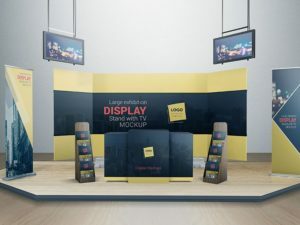 The size for each panel is 6×9″. 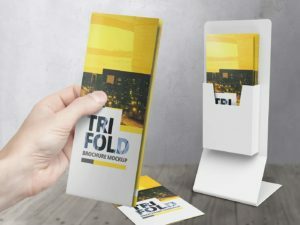 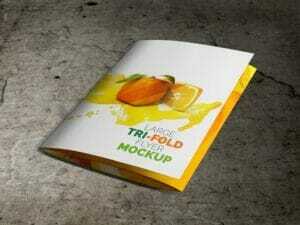 As always, this brochure mockup is really easy to edit, with drag and drops feature via smart object you can easily showcase your brochure design in seconds. 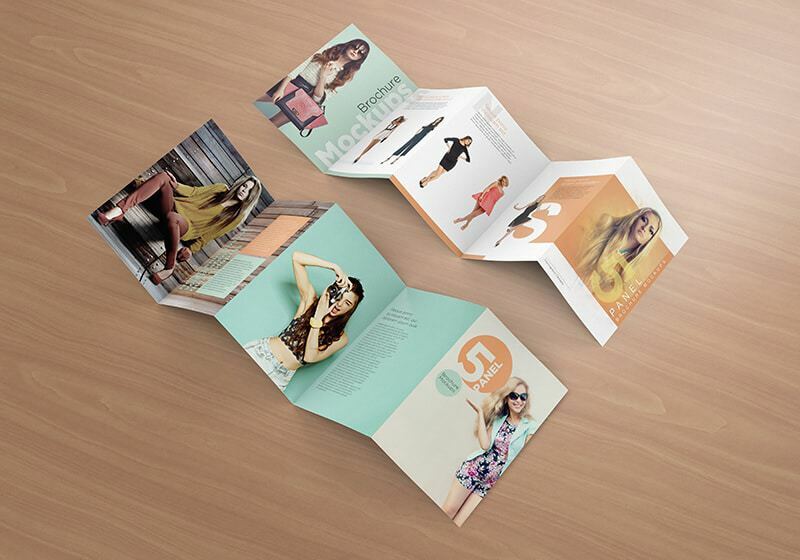 Change the floor texture to your liking, wood texture or just a solid color. 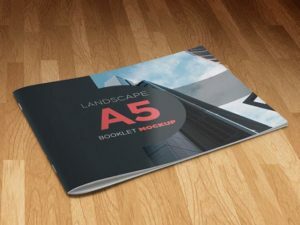 Six wood textures for the floor background included.